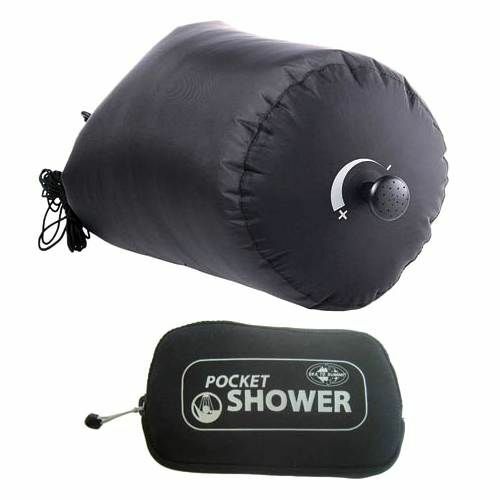 The Sea to Summit Pocket Shower is an extremely compact and lightweight portable shower kit. 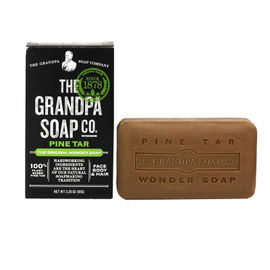 It is perfect to take into the woods with you, or on any sort of trip where you are unable to access regular showers. 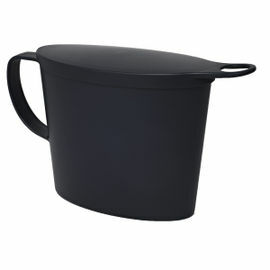 To use, simply fill the 10 litre reservoir with water, roll the top closed and hang it from the two tough D rings attached to the top using the 20 feet of lightweight cord provided. The black fabric of the Pocket Shower helps to soak up the sun's rays at basecamp for a warm shower at the end of the day. 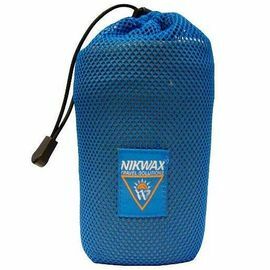 Discovered by Ray whilst on location in Australia, the Sea to Summit Pocket Shower is made from the same heat-resistant, waterproof, 70 Denier Nylon and uses the same roll-top closure as their durable Dry Sacks. Built into the base is a compact showerhead that operates with an easy-to-use on/off twist mechanism. The twist spout also serves to adjust the flow of water, delivering an efficient trickle to a free-flowing shower. 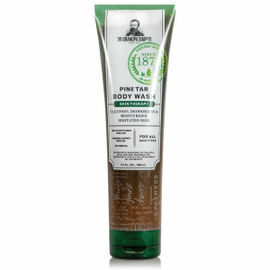 Sea to Summit Pocket Shower is rated 3/5 based on 1 customer review. Having used this pocket shower a number of times over a 2 1/2 month trip and not being satisfied with it, my experience of the shower was tainted with bad memories of knotted cord when connecting/disconnecting the shower up to the trunk when it was getting dark and hard to see, the cord not being heavy enough to throw reliably over the tree branch (even when hanked), bark falling on me when cinching the shower in the air as the cord cut into the bark (damaging the tree), a poor trickle of water from the last 1/3 of the shower and difficulty getting it back into its case (easy in the comforts of your home!). I am currently planning my next trip and, not one to be defeated, I have recently spent a bit of time coming up with a cinching system that was quick, efficient and tree-friendly, which would make this shower a much more usable one especially in the evening when it’s getting dark, without the need of tying any knots (especially difficult to do in the dark!). Remove the thin black 6m cord from the D ring of the shower and attach a fixed loop of which you clip a small carabiner onto (this is the end you will initially throw over the tree). On the other end of the cord cut off a small piece and do an overhand knot this end (this will stop the following knot from slipping off). With the piece you cut off, make a prussic knot and attach it to the cord just above the overhand knot and youre done! Throw the carabiner end of the cord over the tree (added weight of the carabiner helps tremendously) and then clip the open end of the prussic loop onto the carabiner. Fill the shower with water, fold 3 times, clip the bag together and clip both D rings onto the carabiner and hand them from the wider side. Hold the bag in one hand and pinch the prussic knot with your fingers (same hand) and slide the knot as far up above your head as you can whilst holding the bag. With your spare hand, pull down the hanging cord to create tension, and youre done! When finished, pull the prussic knot down, unclip the bag, hank the cord and push into a small stuff sack ready to use for next time... No tangled knots around the tree trunk, no uneven distribution of weight on the D rings, no damage to the bark of the tree and a quick, easy, strong height adjustment system... I am going to give the shower another go over my next trip, 3-4 months around Australia and New Zealand. As the last 1/3 - 1/4 of the shower still lacks pressure and therefore has a pretty poor trickle from the rose still I have given it 3/5 stars.